Sauteed asparagus is crisp but tender, offering the opportunity for you to mix in complementary flavors. According to Fine Cooking, preparing a pound of the spears in 3 tablespoons of butter should only take five to six minutes over medium heat. 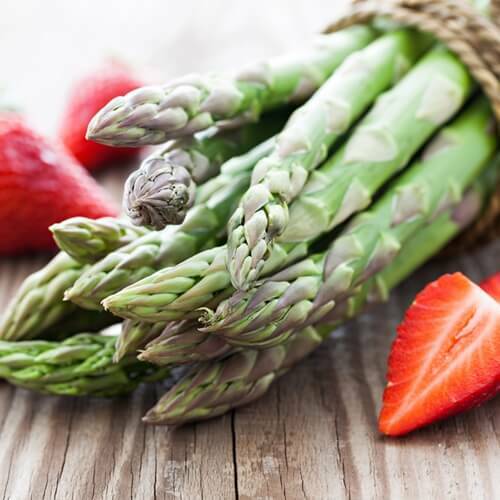 You can keep your asparagus simple by adding in some salt, pepper and lemon juice or basil. On the other hand, you might choose to contribute a little more excitement to your veggies. Martha Stewart’s Everyday Food suggested crispy bacon, Dijon mustard and parsley. Roasting asparagus is an easy way to bring out its natural juices. The New York Times recommended placing the spears on a baking sheet and tossing them with extra-virgin olive oil, salt and pepper. Set the baking sheet in an oven set to 400 degrees Fahrenheit for 10 to 15 minutes. When the asparagus begins to shrivel, remove it from the oven and add thyme and lemon juice. For an even more flavorful approach to asparagus, try braising. 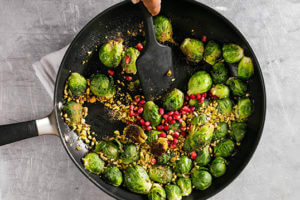 Food52 provided a recipe that calls for bringing together 16 stalks with a tablespoon of extra-virgin olive oil, sea salt, rosemary, bay leaves and water in a skillet. Set the skillet over a high heat until the liquids start sizzling, and then turn down to medium. Cook the asparagus for another eight to 10 minutes, until it begins browning. It’s always a great idea to make seasonal vegetables the stars of a soup. Emeril Lagasse gave directions for an asparagus soup that also features shallots, leeks, garlic, heavy cream and chicken stock. He suggested removing the tips from the vegetables at the beginning of the process and blanching them. You’ll add the tips back in, along with the cream, for the last three minutes of the cooking process. Give the dish a finishing touch by sprinkling on some Parmesan cheese. The Kitchn suggested an unconventional method of baking asparagus that results in a crispy, french fry-like snack. It begins with coating the spears in a mixture of both regular breadcrumbs and panko, along with flour, olive oil, egg, Parmesan cheese, salt and black pepper. Use a non-stick olive oil spray on the breaded veggies before placing them on a parchment-lined baking sheet that is also coated with oil. Bake the asparagus in an oven set to 425 degrees for 12 to 14 minutes, flipping once. Asparagus is one spring vegetable that you can enjoy in many different ways. 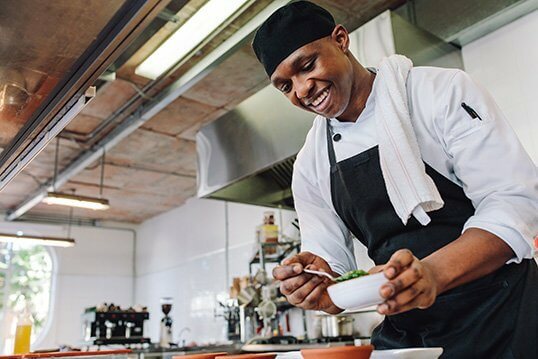 Once you’ve tried out a few of these methods, put what you’ve learned from culinary arts programs to work and create your own variations.